We rebroadcast our special two-hour tribute to Nelson Mandela to honor his birthday. You will hear from a vast array of guests from around the globe – some of whom fought with Mandela in the struggle to end Apartheid – who will discuss the life and legacy of this legendary international leader and fighter for justice. Our first guest is Brenda Leonard, Managing Director of Bush Radio in Cape Town, South Africa, who will talk about who Mandela was and how South Africa reacted to the news of his death. 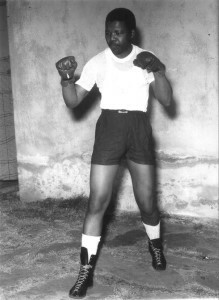 Leonard was an officer in the military wing of the African National Congress (ANC). We then turn to the topic of the history of the struggle against Apartheid. Our guests are: Dr. Robert Edgar, Professor of African Studies at Howard University; and Danny Schechter, who created the South Africa Now series, made 6 documentaries with Nelson Mandela and just published Madiba A to Z: the Many Faces of Nelson Mandela in association with the Mandela Long Walk To Freedom Movie; and Brenda Leonard. In the second hour, we examine Mandela’s legacy and the contemporary politics of South Africa. Joining us are: Dr. Patrick Bond, Professor at the University of KwaZulu-Natal, where he has directed the Centre for Civil Society since 2004; Dr. Simon Stacey, Director of the Honors College at University of Maryland Baltimore County; Emira Woods, co-Director of Foreign Policy In Focus at the Institute for Policy Studies, and an expert on U.S. foreign policy with a special emphasis on Africa; and Zane Ibrahim, joining us from the Netherlands, who grew up in the time of Mandela’s activities and was in exile at the time of the resistance.